"Something about them just makes me calmer the instant I step through the doors. I feel safe, I feel at home. I could sit in a library for hours soaking in all of the world stories pouring out of the books I have yet to read." 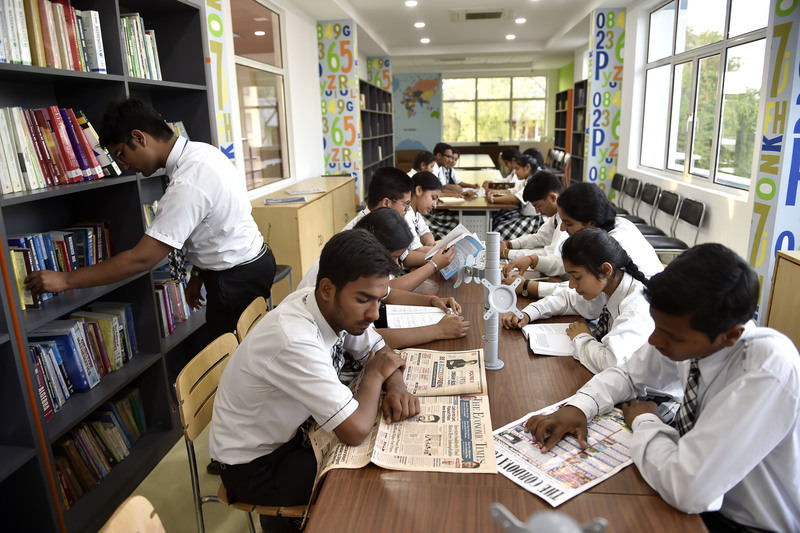 Library is the heart of any academic institution and plays a key role in all academic activities. 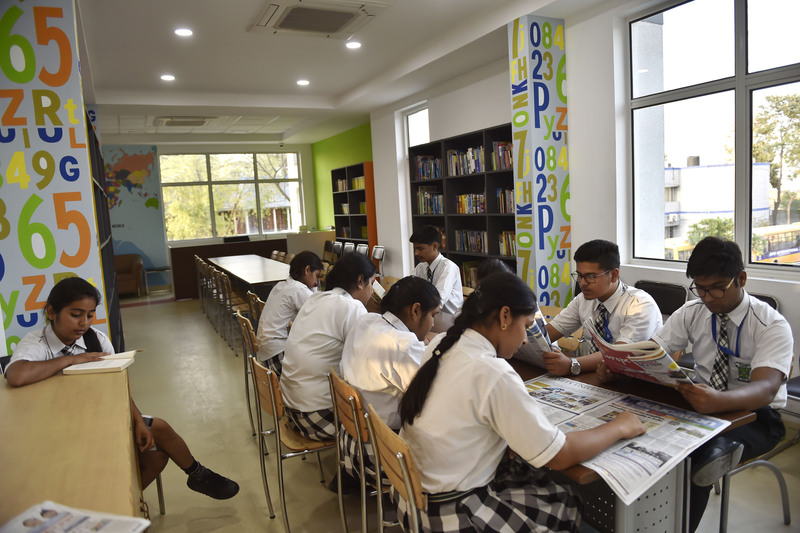 To inculcate regular reading habit in the students, the school has two well planned libraries having 16000 text books and reference books. 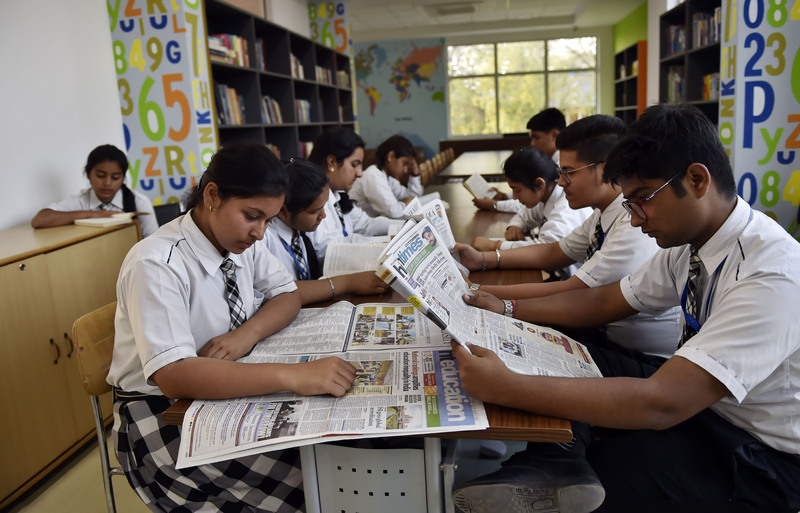 The school has 25 periodicals and 13 daily newspapers to make the students aware with the latest updates, modern changes & technology. We have the spacious computerized library the central library have the reading room facility which makes this a knowledge paradise for the students. 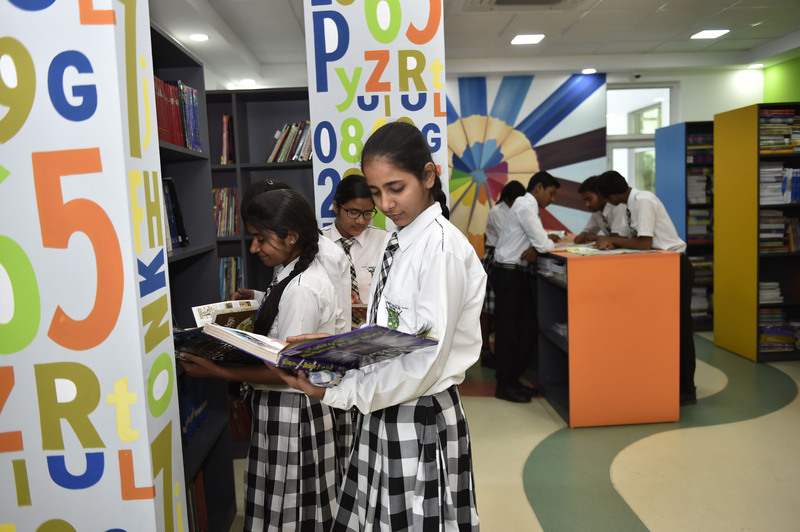 Well stocked racks, full of standard and recommended books attracts student to spend more time in library. Reputed journals on related subjects are available in plenty to make the students highly informed with the latest trends.